The WorkOf Studio, photographed by Kate Glicksberg. WorkOf is changing the way people experience contemporary design and innovating the traditional furniture business. Before a Breather space becomes a space it’s an idea. To turn that idea into a thing, however, it takes a whole lot of research. 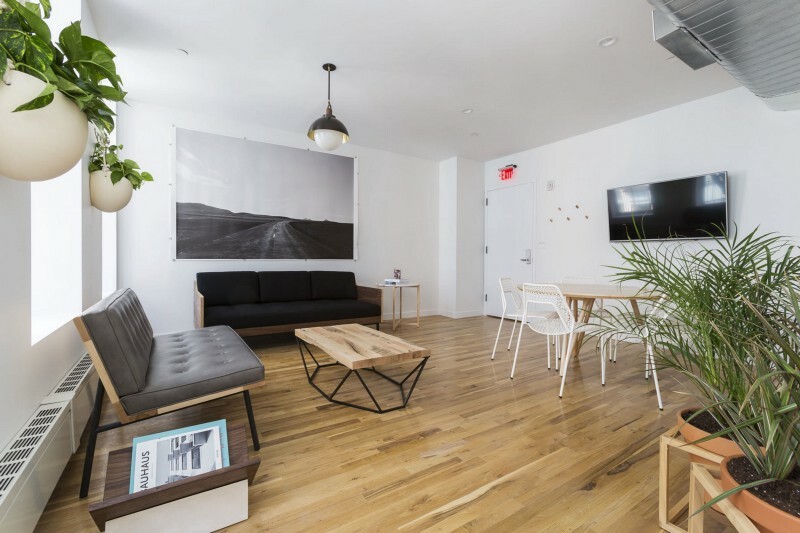 It was during the research stage of the process that Breather’s interior design team came across WorkOf, a New York-based company that curates the best in contemporary design on their web platform. What could have been a simple transaction became a collaboration. Filled with the best in independent, contemporary design, the WorkOf Studio at 138 Wooster in SoHo is not only a snapshot of the current design scene, it’s also a showroom full of high-quality, aspirational pieces that will make you reconsider your next Ikea purchase. 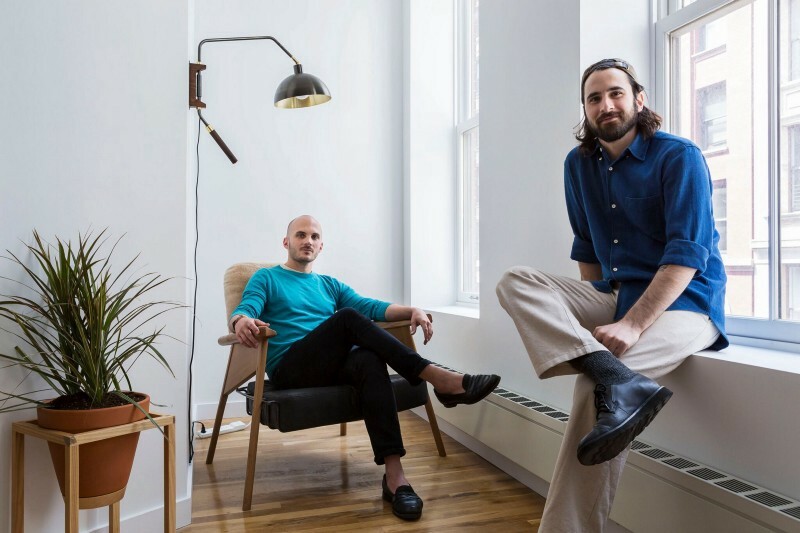 We spoke to founder Charlie Miner and creative director Isaac Friedman-Heiman about how they’re changing the way designers and customers interact — one beautifully crafted piece at at time. Charlie Miner and Isaac Friedman-Heiman. of Brooklyn and realizing that there wasn’t an online community to support them or connect them with buyers. What’s the evolution been like for the company? Charlie: We launched in January 2014, and we had 10 studios, mostly furniture designers, and now we work with 120 brands [everything from lighting to quilts, wallpaper and tableware] across the United States. We recently updated our site with a functionality that connects interior designers to brands. We want to be a resource for both sides. Aggregate the best independent design around the country­–and the world–and help connect them to the customer. Getting closer to interior designers, helping them source products and present them to clients, and then order and track the inventory. Eventually, our new platform will allow designers to share images of their completed projects and promote their architectural and design projects. Hairpin table by David Gaynor. WorkOf started as a ecommerce platform–that’s a pretty big shift. Charlie: Three years ago, when I was going to all these studios, I was asking them, “Where do I go to find all these amazing products?” And everyone was saying, “My shop’s around the corner…” that brought me to the realization that these designers didn’t have a platform, which was a huge, exciting thing for me. At the beginning, it was just about building that platform and proving that people wanted to join it. The next iteration of that is focusing on the customer side. of the reason’s we’re so excited about this collaboration is because the WorkOf Studio gives us the opportunity to put products in a context, in a space that’s beautiful and permanent. Coffee table by Coil + Drift, print by Emily Johnston, sofa by Gus *Modern, side table by David Gaynor. Do you have a background in furniture design? Isaac: I studied industrial design at Parsons and co-founded a design and manufacturing company that makes furniture, lighting and accessories. We got a studio space the month we were graduating–me and my co-founders Shaun and Luft–and we launched Souda six months later. I ran that company with them for about two-and-half years and in 2014, we won the Best New Designer Award at ICFF [New York’s High End Luxury Furniture Fair], which is the biggest international furniture trade show of its kind. Winning that award was an interesting experience for me. We’d done everything we were supposed to do and the award was certainly a jumping off point, but the reality was starker than I’d anticipated. It wasn’t just about getting this award or getting great press, all the mechanics of the industry are just really dated. It’s a very slow, very organic and painstaking process and the trade shows that are part of that industry are super expensive. We were an early adopter of the WorkOf platform, so I knew Charlie and was interested in what they were doing. When I left Souda a year-and-a-half later, I ended up being the insider at WorkOf who could help Charlie create something new with the best tools for the design community. 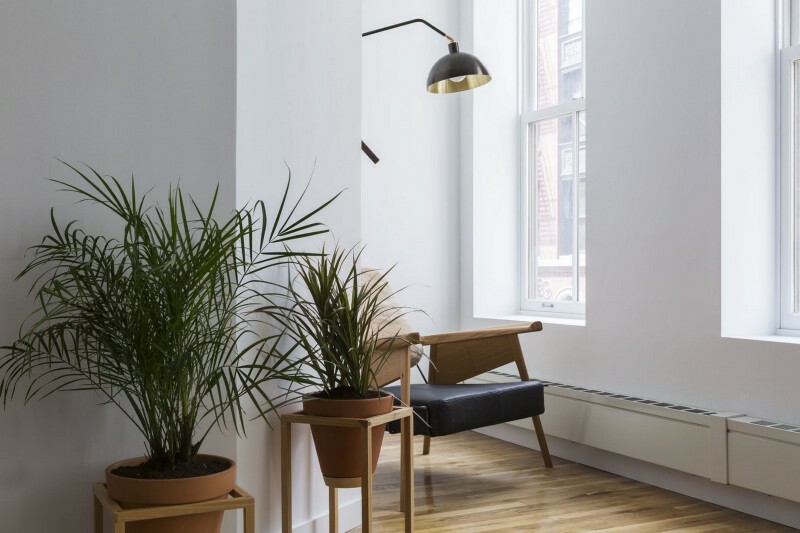 Frame planters by Trey Jones Studio, wall lamp by Allied Maker, reading chair by Evan Z. Crane. WorkOf went from having 10 to 120 studios and manufacturers on the platform, how do you find them? Another part of the vetting process is having the business and manufacturing capabilities to sell these products online. We’re going to market this product to consumers that could purchase one piece for a dining room or many for a hotel lobby. Charlie: The easy distinguishing factor is that the studios we work with are professional studios and manufacturing brands. They’re not hobbyists or people doing this in their garage on weekends. 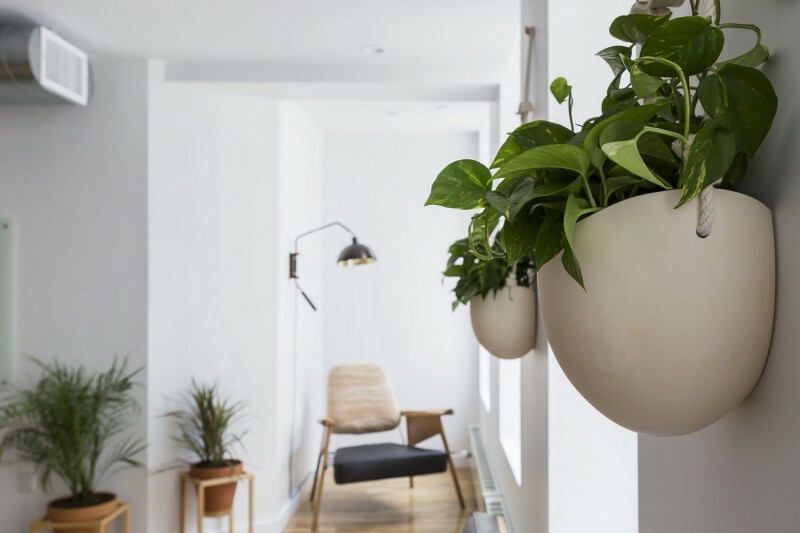 Wall planters by Light + Ladder. what we think are the best studios in the region. the same for Breather, is to become a global brand and be known as the online platform for the best professional contemporary design brands. Does the design aesthetic change from city to city? light, and this tends to be linked in the work. The interesting thing is, when you see it all in one place on the platform, even though the work’s been created from different vantage points, it all relates in a really nice way. Love design? So do we.